Comparing to its relative called Grapefruit, Honey pomelo is a citrus fruit that tastes sweeter, but can still be somewhat sour. It has rich vitamins, such as vitamin C, B, calcium and so on. The Chinese make various medicine from the seeds, flowers, mature peel, and slices of young fruit by usually dry them up, it is also used in treating cough, swelling, vomiting, indigestion, in removing phlegm and resolving alcohol toxins and hangover, undoubtly , it is a natural health food. It has been planted for more than 500 years in China and was used to be a tribute for royal. 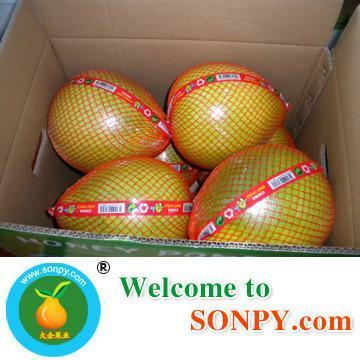 The pomelo especially in pinghe,fujian,China is the most famous. 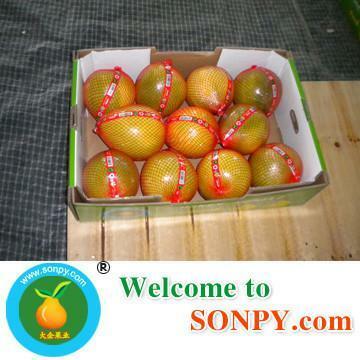 Besides, Honey Pomelo is available from August to February of next year. It can be stored for 3 months naturally, which is very fit for export. Our juicy and sweet Honey Pomelos have won broad markets in Europe, Southeast Asia, the Middle East, and South America. In addition, we have received a very good reputation from our customers due to our quality products and excellent services. 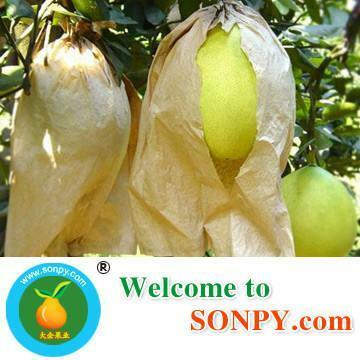 Our aim is to supply our customers the best Honey Pomelos with the reasonable price and high quality. Since we have multi-supply center, we can easily supply the most appropriate products to you.